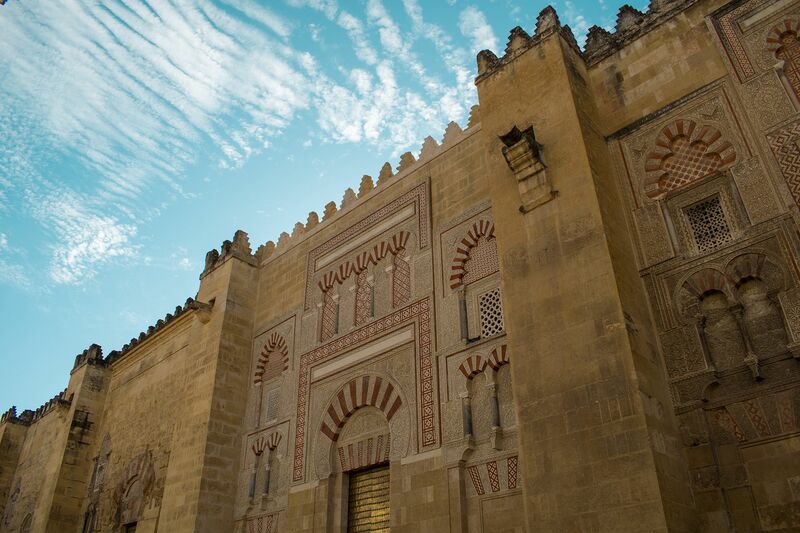 The spectacular views of the Cathedral Mosque of Cordoba, the streets and courtyards of the Jewish quarter as well as the scents of jasmine and orange blossom that surround the environment will let your senses travel to the time of the caliphate. The Hotel Caireles is located in an ideal place to enjoy during your visit in Cordoba. The hotel was opened in April 2014. Its rooms have a modern style and they are designed for your comfort. Beautiful room for 2 people. The room is located on the second floor of the hotel, allowing you to enjoy beautiful views of the Mosque of Cordoba. Available in double bed of 160 x 190 or two beds of 90 x 190. Single room, fully equipped with views of the Mosque of Cordoba. Mini-bar, satellite TV, terrace, balcony, WiFi, dryer, heated and heated, with thermal and acoustic insulating windows. Possibility of choice of pillow. Sweet dreams, our high “Selection” of mattresses, with which all our beds have been equipped, are available in different sizes: single beds of 90 x 190 cm in the bedrooms with single beds and 150 x 190cm in double beds. All beds are equipped with markers and covers with cushions of different colors. Pillow menu: looking for more rest we offer you our pillow menu that you can request when you want. In our hotel in Cordoba we take care of the environment, you are the one who decides whether you want a daily change of your towels or not.